Representative Mike Capuano and Boston City Councilor Ayanna Pressley. 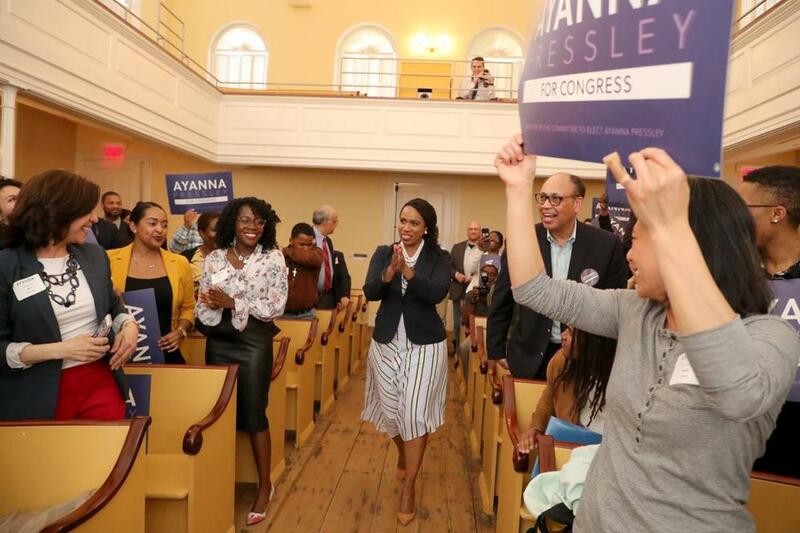 Just two days after her opponent, Michael E. Capuano, basked in the endorsement of civil rights icon John Lewis in Roxbury, Ayanna Pressley ascended to the pulpit of the African Meeting House on Beacon Hill to defend her campaign and assail her critics. The speech — part sermon, part call-to-arms — showed why Capuano, despite winning high marks from liberal interest groups, has to work hard to defend his deep-blue seat in Congress for the first time since he won it in 1998. Pressley, widely regarded as a rising star in Democratic politics, seems perfectly positioned to capture the restive energy animating the grass roots of the party in a year that has seen massive activism around the #metoo movement, women’s marches, gun control, and Black Lives Matter — not to mention a hunger for diverse, fresh voices to challenge President Trump. And yet Pressley, who would be the first woman of color ever to serve in the state’s congressional delegation, has found herself running headlong into some very old-fashioned challenges. 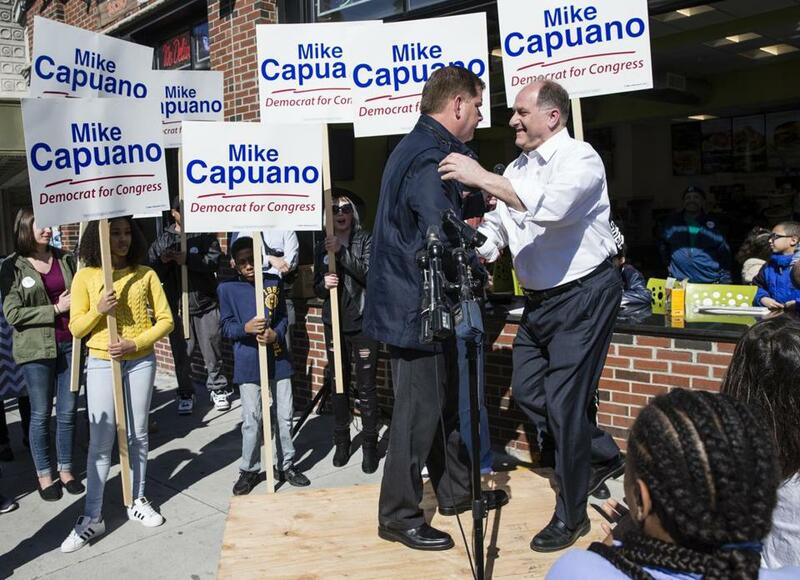 Capuano, seizing the power of incumbency, has moved quickly to lock up the support of influential black political leaders such as Lewis and former governor Deval Patrick as well as local powerbrokers, including Boston Mayor Martin J. Walsh. Ayanna Pressley held an event at the Museum of African American History last week. 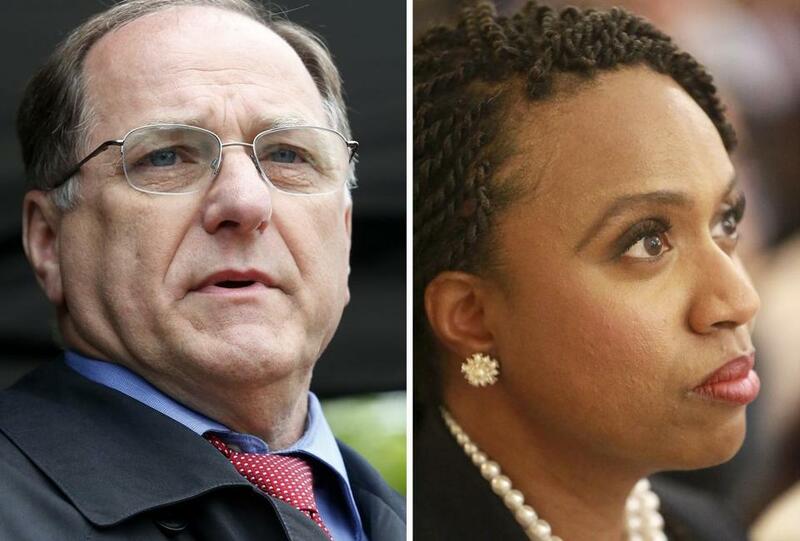 The matchup has ignited an intense debate about how much a candidate’s race, gender, and age should matter because both Capuano, 66, and Pressley, 44, acknowledge they have similar views. The district — which includes most of Boston, half of Cambridge and Milton, and all of Chelsea, Everett, Randolph, and Somerville — is the only one in the state where a majority of residents are nonwhite. “The dynamic in this race is interesting,” said Stephanie Cutter, a Democratic political strategist and former deputy campaign manager for President Barack Obama in 2012. While Capuano has served his district well and has the establishment behind him, the qualities sought by voters may have shifted, she said. Sitting recently with his wife, Barbara, at Kelly’s Diner in Somerville, Capuano defended his record of fighting for housing, transportation, and women’s rights while sharply criticizing Pressley’s assertion that her personal and professional background better matches the makeup of the district and will allow her to bring a new “lens” to Washington. Representative Mike Capuano greeted Boston Mayor Martin J. Walsh on April 22 after Walsh endorsed him for reelection. A candidate’s race might be a consideration for some voters, he said, but “more people are interested in what can you do for me, and what have you done for me, than what I would consider to be second- or third-level issues. Capuano said that if he wins the September primary and Democrats take back the House in November, he will serve as chairman of a subcommittee that oversees housing or transportation — key issues in a district with some of the nation’s highest housing costs and an aging, temperamental transit system. Pressley said she is proud of her record — pushing for more liquor licenses in minority neighborhoods, advocating for victims of gun violence — and has begun formulating policy ideas she would bring to Congress, such as an “asset-management conference” she would convene for the owners of bodegas, beauty salons, and home day cares.